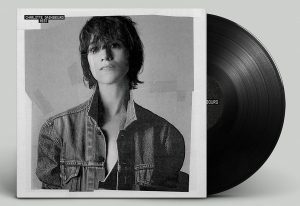 Singer and actress Charlotte Gainsbourg takes us through the creation of ‘Rest,’ her disco-oriented album inspired by traumatic experiences. Like many cinephiles, the first images my mind conjures when I think of Charlotte Gainsbourg are ones linked to her bravura performance in Lars von Trier’s devastating epic Melancholia. In her role as Claire, the actress displayed a proclivity for portraying the nuances of grief in a manner that felt radiant, demonstrating the ultimately transcendent power of suffering. It is perhaps unsurprising then that Gainsbourg effortlessly produces the same effect with Rest, her years-in-the-making, fourth album proper in her storied music career. Life imitated art with this project, one that was largely inspired by the tragic death of her sister, photographer Kate Barry, in 2013. This new musical direction is starkly different from the sound of her last record, 2009’s IRM. That album was overseen and executive-produced by Beck, who brought his characteristic gritty-alt-rock to the proceedings. Rest, however, is a bona fide slice of neo-disco, with the title track even receiving a production job from Daft Punk’s Guy-Manuel de Homem-Christo. In addition to processing the death of those around her, Gainsbourg deftly turns her gaze towards the land of the living. Chief amongst these subjects is herself, an idea brought to glorious, metaphysical life in the music video for the album’s title track. Self-directed, it finds the artist looking through a series of film clips, some of which are her own; her visage in the aforementioned Melancholia being studied by a Charlotte now six years older, riddled with a wholly new set of traumas. I mention that for an album inspired by her real-life sister’s passing, it must surely be no coincidence that she turns back to one of her greatest screen roles as an overprotective sister. She seems startled by my admission; “I didn’t think of that,” she utters, “I hadn’t thought of it like that. I just have instincts, and I trust my instincts.” If the gorgeousness of Rest is anything to go by, she should never have any reason to doubt such instincts.